14″h x 8″, metal found at the bottom of a paper slug agitator. 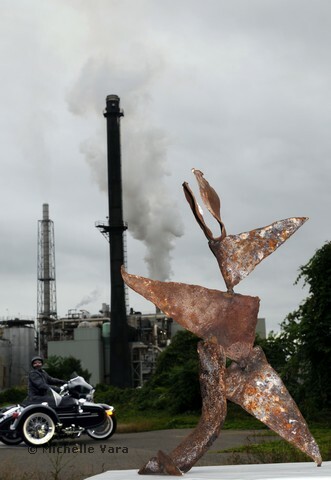 This work intends to further the “Workmen Series” because of where and how the metal was obtained. 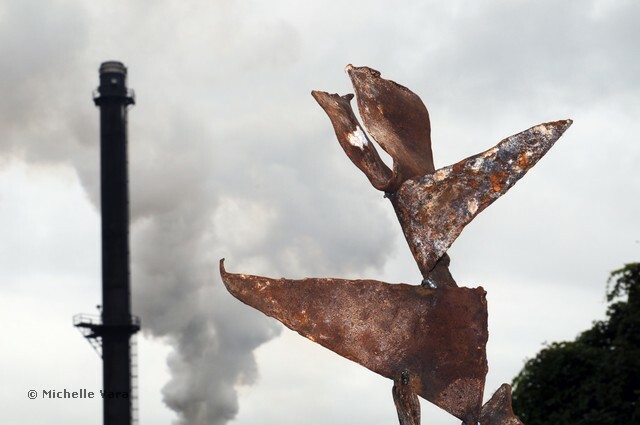 The metal was found at the bottom of an agitator bin for the paper company called Finch, in Glens Falls NY. 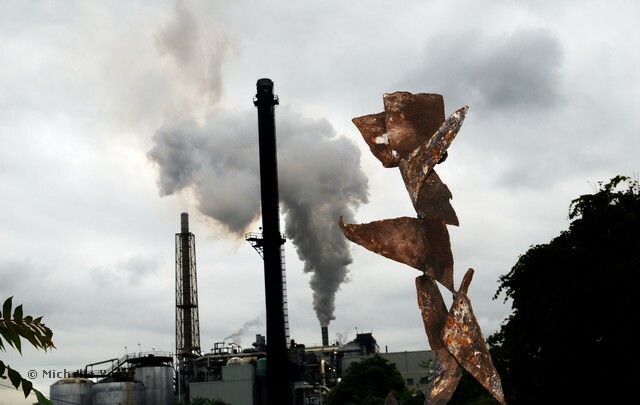 I have been hearing stories of people that work at that paper mill and events that surround maintaining a paper mill. 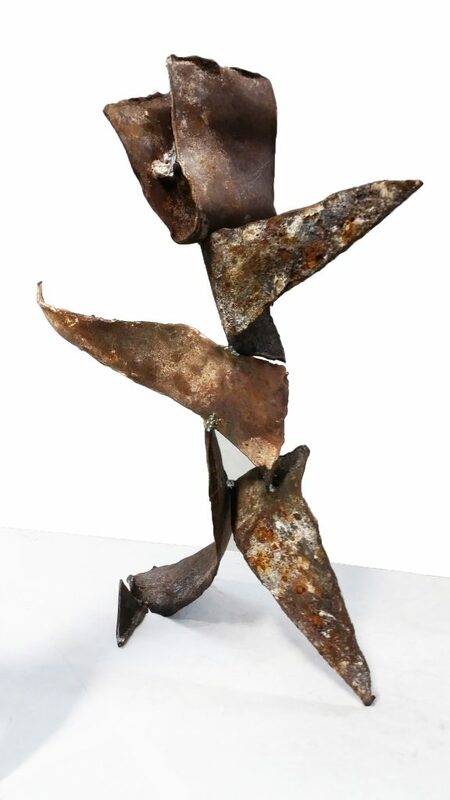 The found metal had to me an obvious character, which became evident in the placement of each piece, which I then welded. I furthered the process by trying to convey or expose the rest of the story, through the pictures in a play with space. The funny thing is when clients, stopped in the studio and saw the sculpture they assumed them to be characters in a dace leaving me to be apprehensive to say what I am seeing or feeling while in the process. 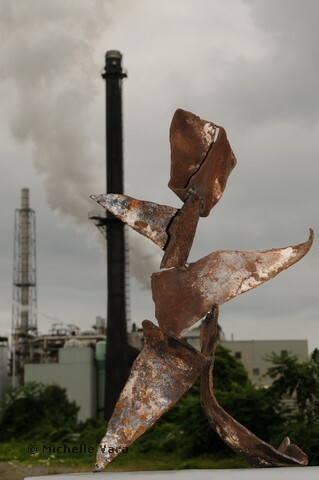 The sculpture is photographed with Finch Paper in Glens Falls NY, as the background in an interplay of object and space to further the visual conversation through the photograph. It was important to me for the gray day and smoke to play in man and the machine type of way. This is not the end of this work because the photographs were shot over a week and I feel there is more to flesh out -so I don’t think this is the final photographs.